Astute Property Search | The not so obvious professional you hire when getting a divorce. In addition, the process of divorce often means one or both of you (and in many cases, your children) will be moving to a new house which will add further stress and time – viewing properties, negotiating (potentially whilst not in the best frame of mind) and then managing the legal process. This was the situation for a recent client of mine. ND (I will refer to her as this for confidentiality reasons) was at the end of her divorce process and had the marital property up for sale. “Getting the house to an under-offer stage was stressful enough and I knew I was only halfway there, I now needed to find my new home. Having seen the buying agent programmes on TV and although I didn’t have a million-pound budget, I wanted to benefit from expert advice and someone to take control of the buying process – and Matthew’s approach appealed to me when I did my research”. So, ND took the decision to reach out to me June. Although she wasn’t quite ready to “press the button” on her search, we discussed the fundamentals and agreed on a plan going forward. 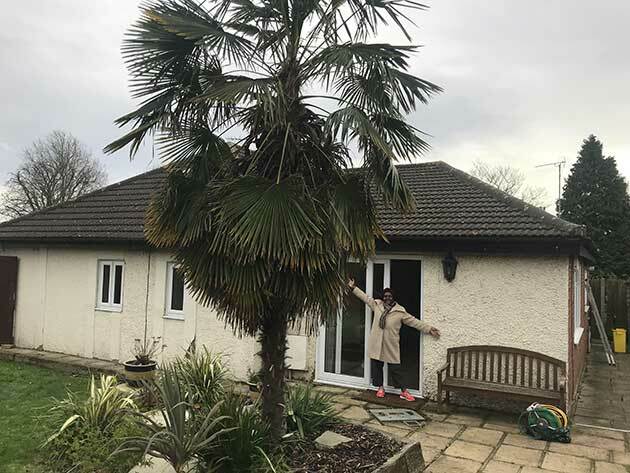 The purchase of her new home and start was contingent on the sale of her existing family house in Ealing and unfortunately, her sale had just fallen through. Because I wasn’t under any time pressure, I had the opportunity to do some research and preview suitable areas to be ready once we were in a place to commence the search seriously. The ideal purchase would be in West or North West London, and specifically a bungalow if possible. ND made it clear this was to be her last purchase and despite outpacing me walking to properties, she didn’t want to struggle to get upstairs in later life. I started out in the areas of Stanmore and Pinner, in North West London, because these areas have great access to central London and also offer a rare abundance of bungalows. I knew however that a location closer to Ealing was preferable to ND. And sometimes, preferences require a compromise. I recommend clients rank their preferences in order. In this case, after some great viewing days, ND was even considering forgoing her bungalow dream to be in her preferred area. So we reverted to Ealing & Acton, areas which she knew well and was more comfortable with. Bungalow – a dream or a reality? I aim to never use the word “impossible” when it comes to property and I always opened my line to the estate agents with “the ideal property would be a bungalow” if nothing else but to get their attention. The response to this was either “you’ll not get one with that budget” or carried the look of “is this guy serious? This isn’t Norfolk!” Basically, there were none on the market and the houses that we had viewed were not quite right for ND. Anyone that knows Acton will tell you, bungalows are not exactly on every street corner and due to their plot size often carries a premium for development potential. However, as rare as they may be, there are around three streets in Acton dedicated to bungalows. It was time to do some canvassing of my own – I posted a total of 30 letters to bungalow houses in the area. After about 10 minutes of being Mr Postman, I received a call from an owner and luckily, it wasn’t to ask me to not post unwanted letters through their door. The owner was thinking to sell in the next few months which was ideal for ND. And this is how it played out. We undertook a few viewings and agreed on a price. Like with all transactions, there were a few “speed bumps” during the conveyancing process but these were handled, and we managed to lock this transaction in with the sale of ND previous house. I must thank you so much for your recent professional, efficient and dedicated house sourcing for me. I would never ever have expected the bungalow I had been seeking to come from the unexpected source which you somehow managed to unearth. Yes, of course I could have gone online or approached estate agents and done my own sourcing as most buyers in this country do and as I myself have always done in the past, however, I would never have had the contacts or the experienced know how to have actually achieved my goal within the time frame and price parameters that were available to me. If a buyer is time poor and/or budget limited I would recommend they engage Matt. If a buyer is very busy or in a stressed situation I would recommend they engage Matt. If a buyer is unsure of the location or indeed of the type of property that would suit them, I would again recommend they engage Matt. Matt, there is no need to consider your ‘added value’ as for me the result was “Mission Accomplished, Plus”.